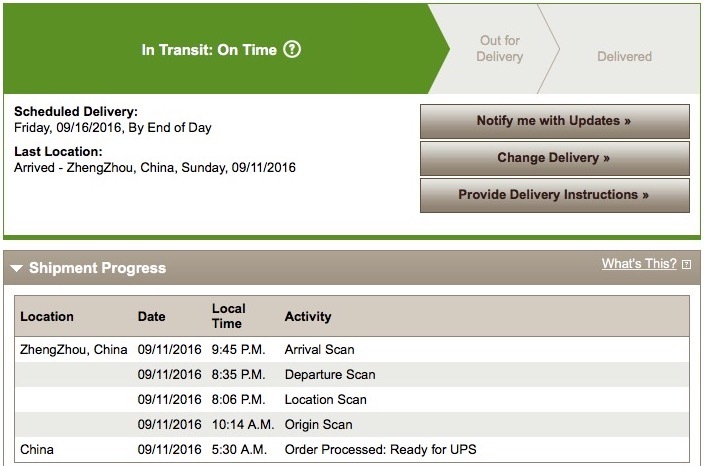 After quickly moving to the "Preparing for Shipment" stage on Friday, the first wave of iPhone 7 Plus shipments from Apple are now on their way to customers for delivery on Friday, September 16. Apple has not yet officially updated order statuses to "shipping," but a number of customers have found their new devices showing up in their Apple support profiles and in UPS order tracking. We've seen quite a few reports of iPhone 7 Plus orders showing up, but it's not clear if iPhone 7 units are shipping in volume yet. U.S. customers can try to find their orders by using the "Track by Reference" function on the UPS website and searching with their phone numbers, typically the phone number associated with the Apple ID under which the order was made. 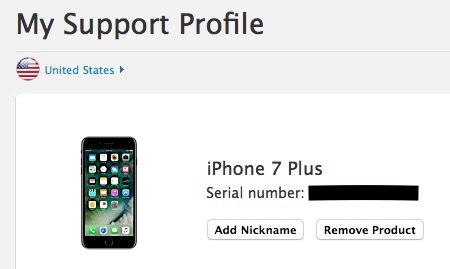 The Apple order number minus the last two digits may also work. UPS customers who have My Choice accounts may already see their shipments showing up on their accounts without even needing to search. The first wave of shipments is scheduled to arrive to customers on Friday, with delivery services holding packages until that date even if they arrive to regional hubs early. It is not unusual, however, for a few packages to slip through and arrive a day ahead of schedule for a handful of lucky customers. Screw the iPhone 6SS, I need a new MacBook Pro! Come on Apple. Because heaven forbid we have thread that doesn't include whining about the lack of Mac updates. There will be NO news for you until about a month from now. In the meantime, go rain on someone else's parade. It is water resistant, so whatever floats your boat. Just a quick PSA: Don't freak out if your tracking information doesn't appear. Every time I preorder an Apple product, my tracking information seems to be later than everyone else. In fact, I couldn't get tracking info for my AW until *after* it was already delivered. They still always arrive on time. Happy waiting! Hey! Will it have iOS 9 as the default iOS? That would be cool! Then I could keep using my older computer! [doublepost=1473611074][/doublepost]It would have been nice to get an iPhone 6S with iOS 8. I'm sorry but no one should buy a $1000 phone for what you're getting. Can't you get a less expensive version and donate the rest to charity? I have my iPhone on order and it will get here when it gets here. Articles like this and all the responses is what makes iPhone users seem so desperate for the latest and greatest which makes it easy for cell companies and phone makers to rake you over the coals with a smile on both of your faces. I mean this is no news, the same happens every year. The shipping times are about the same. Quit acting like elitous 3 year olds and wait for it to arrive like an adult. It's not even like you just forked out $800 dollars for it either or got a good deal. Most every one is now on a payment plan and every one is paying full retail price and no one cares? Who payes retail price and doesn't even complain AND still locked into a two year deal whether they call it a contract or not. If people would send a message, by not acting like you all are and sticking with your older devices, they would instantly rethink this scam and start offering discounts again. Unreal. how do you find your apple profile page?